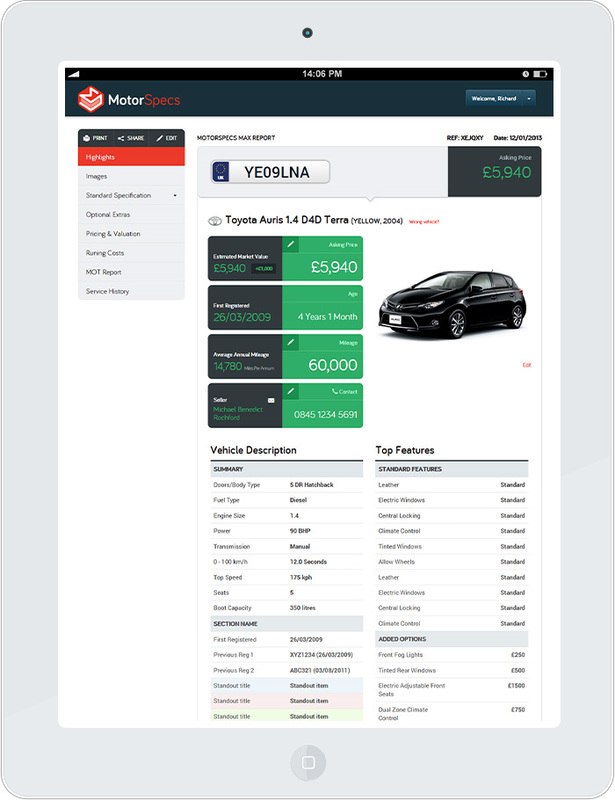 The MotorSpecs API is built on top of the latest web friendly technologies offering an extremely secure and robust technical environment whilst facilitating quick integration times for web developers. It’s a RESTful API delivering output in JSON format via a series of micro-services that allow you to quickly and easily focus on the data and services you require. Versioning of the API means that constant improvements of our web services are delivered to the API structures and data outputs without disturbing our client’s implementations. We provide an Admin Panel for our clients technical and administrative users alike, providing them with access to the API’s availability, usage logs and online documentation and release notes to assist with any future integrations. Availability is assured and we work with multiple redundancies in the database and application servers. The technical infrastructure consists of a total 7 powerful AWS EC2 instances using Reddis, Elastic Cache and Elastic Load Balancer for speed and reliability. The database is a MySQL Master Instance with a Read Replica. We run three separate environments consisting of a local test environment for development, a staging environment for client UAT and a production environment with two separate instance which operate as a load balanced cluster to handle high traffic loads. We also use S3 buckets for storage of media and files connected with the data. Request response times are less than 500 milliseconds on average according to our monitoring. We provide response data for 96% of valid VRM enquiries. We guarantee to 99.5% up time. We provide a minimum of 2 days advance notice of any planned maintenance. Planned maintenance requiring downtime will be carried out between the hours of midnight and 4am. For monitoring we use New Relic, Logstash and Kibana to monitor performance and log traffic to our services. We log every request (in/out) to our services, so we can track, analyse and debug any issue. Our team is informed of any issues swiftly if they occur and we are therefore able to respond quickly if any unscheduled downtime occurs.